Connacht's search for a Pro14 play-off spot saw them welcome Cardiff Blues to Galway today and Andy Friend's side put on a magnificent display of attacking rugby. They succeeded in their quest to join the other three provinces in qualifying, winning on a scoreline of 29-22. Friend made several big calls coming into the crucial clash, including selecting the in-form Caolin Blade over Kieran Marmion at scrum-half. The decision paid off when Blade dotted down in the first half after a fantastic Paul Boyle break and offload. The half-time score was 14-7. Yet the best was yet to come. In the second half, Connacht launched a field length run. Bundee Aki kept the play alive with an offload before a brilliant Matt Healy break bought the home side huge yards. Jack Carty then stepped up with a sublime chip and chase to finish a try of the year contender. It was yet another moment of magic in what is becoming a sensational season for Carty. The final quarter called for a huge defence shift but Connacht held firm, with Kieran Marmion managing to bundle Cardiff winger Jason Harries into touch. There was drama still, Josh Turnbull scored a try to make Cardiff pressure pay only for Connacht to respond directly from the kick-off. After Cardiff failed to deal with Carty's drop-kick, winger Matt Healy managed to remarkably stay in field and touch down to secure a bonus point victory. Matt Healy!!! Úd eile do @connachtrugby & an bhfuil an bua cinntithe acu anois? 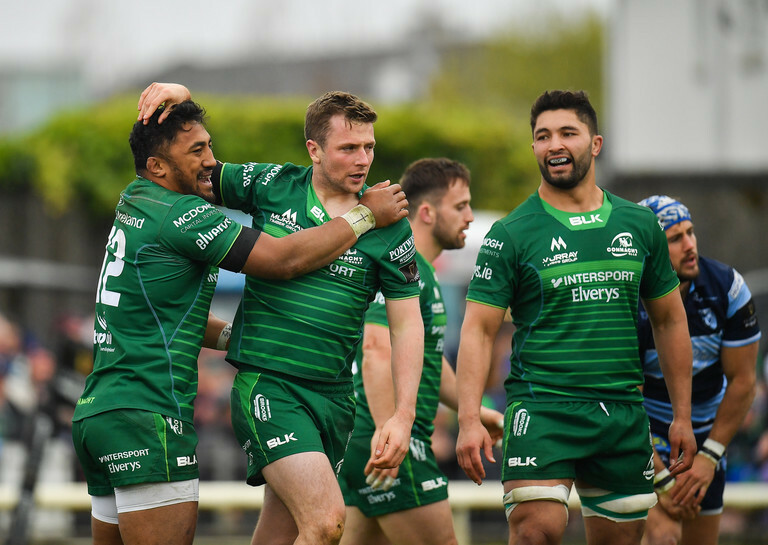 In front of a raucous home crowd, Connacht claimed their spot in the playoffs and Champions Cup. The good news for the Sportsgrounds faithful is that this year's adventure isn't over. Jack Carty said it best, "you want to be playing the big teams and we'll be doing that next year. But we're not finished yet." WATCH: "That Is One Of The Most Ridiculous Decisions You'll Ever See"